This church in the community of Ehrhardt was organized around 1829. As was the case with many early churches, the congregation first met beneath a brush arbor. This particular group gathered along the banks of the Salkehatchie River and called itself Three Mile Creek Church. 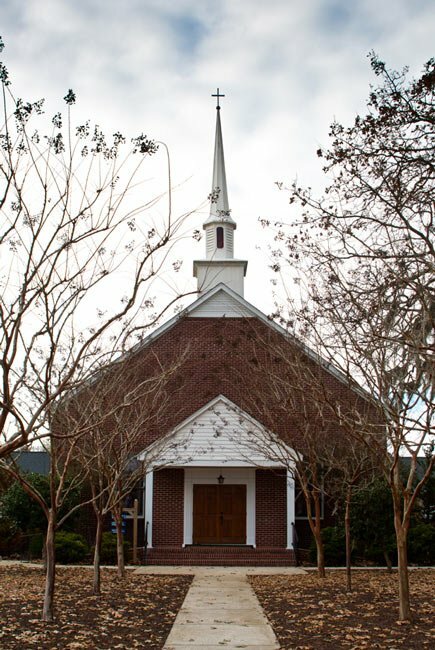 Ten years later, in 1839, George Kinard donated land for a church about four miles from the first meeting spot. Soon the congregation built a church on the present site, christening it St. John’s Baptist Church. The church has been renovated and modified several times over the years, including in 1865, 1938, and again in 1961. However, original elements of the church can still be seen within the sanctuary. During the Civil War, Union troops stabled their horses in the church and used the sanctuary’s floorboards to create a bridge to cross the river. The federal government reimbursed the church for the loss in 1912. St. John’s Baptist remains an active part of Ehhardt’s community today.